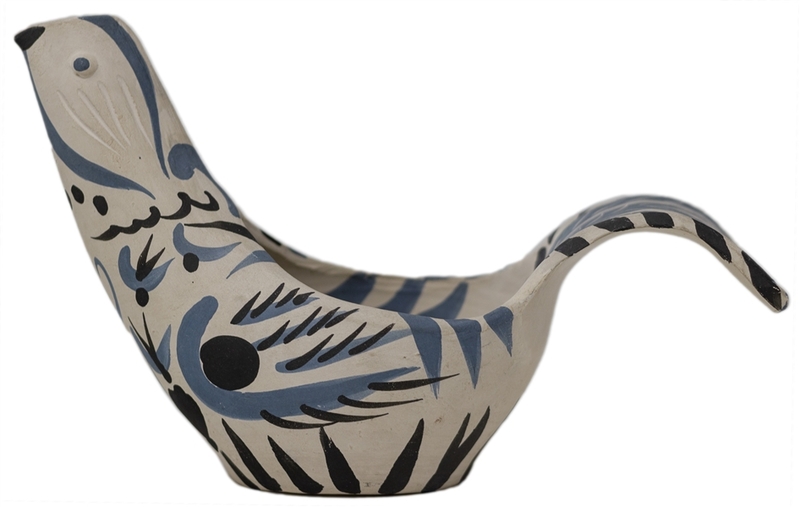 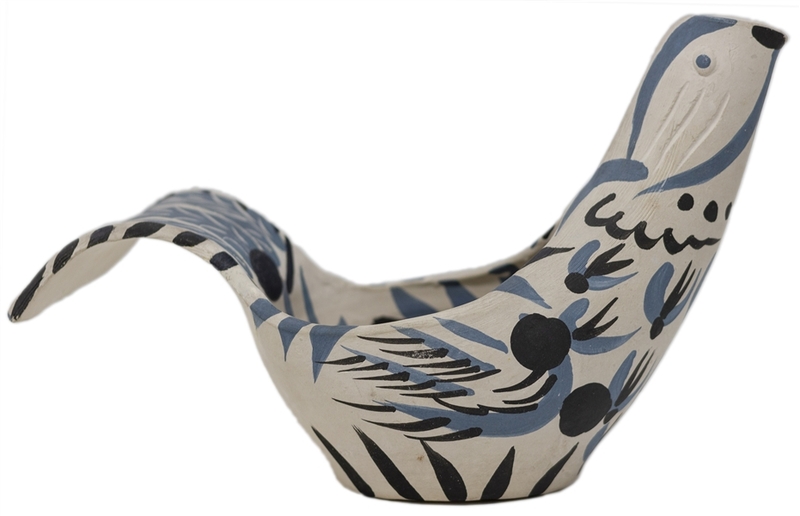 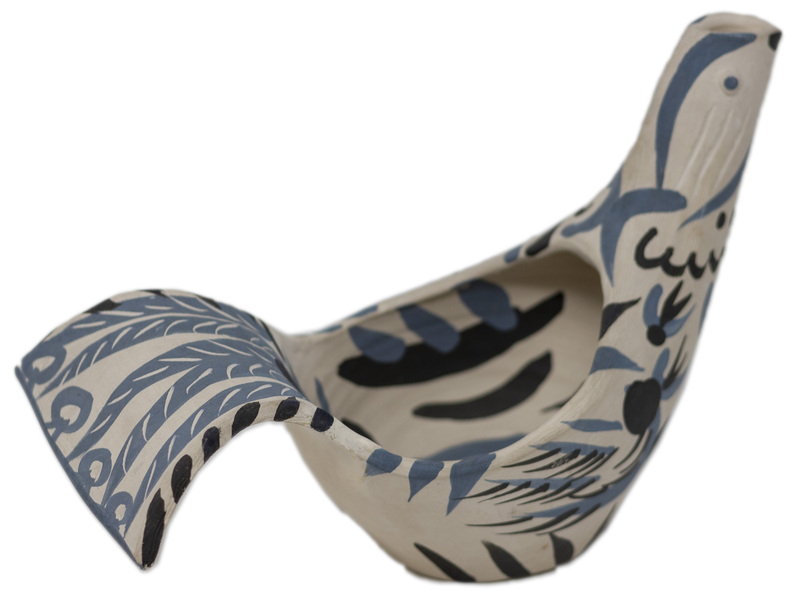 Pablo Picasso Terre de faience (earthenware) vase, "Sujet Colombe" created at the famed Madoura pottery studio in the south of France, where Picasso collaborated the last 25 years of his life and created often playful pieces, such as this dove-inspired vase. 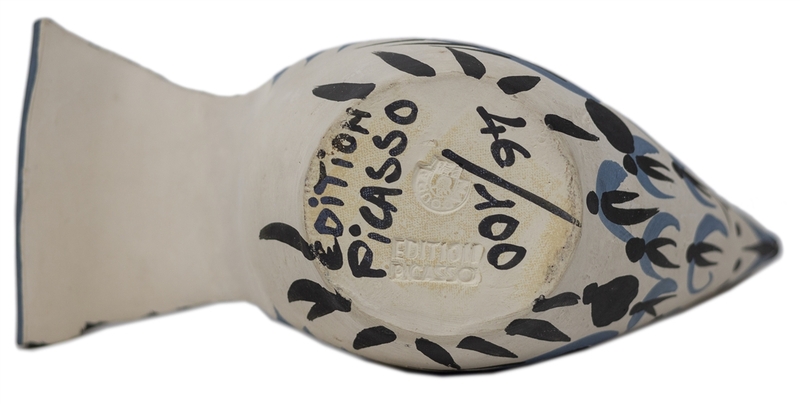 Colored in deep blues and black, vase was created in 1959, numbered 46/100 and inscribed "Edition / Picasso / 46/100", with Picasso and Madoura stamps. Measures 6.75" tall. 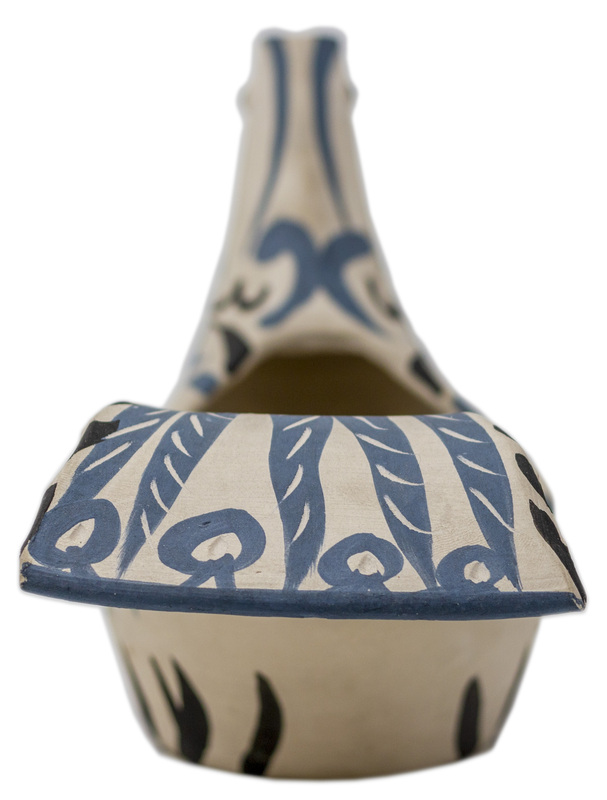 Professional and invisible restoration at tail, overall very good condition. In literature: Alan Ramie 433.